HOME PRODUCTS &AMP; SERVICES DIRECTORY OF SUPPLIERS OFIL LTD.
Ofil conceives, develops, manufactures and markets bi-spectral (ultraviolet & visible) optical sensors and imaging systems, classified as Non-Destructive-Testing (NDT) equipment. The systems are used for predictive & condition based maintenance of high and medium voltage apparatuses. Ofil addresses electrical utilities, high voltage laboratories, owners and operators of private substations, manufacturing industries, mines, refineries, and electrified transportation. Ofil is engaged with ongoing research & development activities, design & production of Commercial-Off-The-Shelf (COTS) products and of tailor made solutions with incorporated DayCor® technology that allows precise detection of UV signals in full daylight. Ofil’s products are used to see, detect, pinpoint, display and record corona & arcing discharges in real time on high and medium voltage systems. 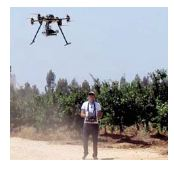 As remote sensing non-intrusive/nondestructive systems Ofil's products provide immediate true information about existing faults while ensuring the safety of inspection teams. The resulted information is valuable to maintenance teams and asset managers as well as to quality control of newly constructed grid installations and elements. Hundreds of worldwide customers in electrical utilities, heavy industries, data centers, mines, refineries, chemicals and petro-chemical industries, health institutes, academy researchers, high voltage laboratories, electrical transportation, have adopted UV inspection and keep on using Ofil's cameras routinely. Ofil’s mission is to support the global electrical industry with affordable qualitative testing systems that will be used safely and routinely to ensure uninterrupted on-going power supply. Established in 1993 as a start-up company. Ofil is now a mature manufacturing company with offices in North America. Ofil employs highly interdisciplinary skilled taskforce. 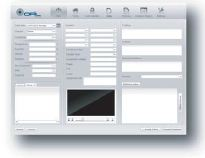 Ofil carries on projects starting with blue prints up to prototyping, testing and mass production. Marketing is conducted globally through a network of exclusive representatives in allocated geographical territories. Ofil’s current install base holds hundreds of products in operation in over 60 countries worldwide. View More Product Announcements from Ofil Ltd.